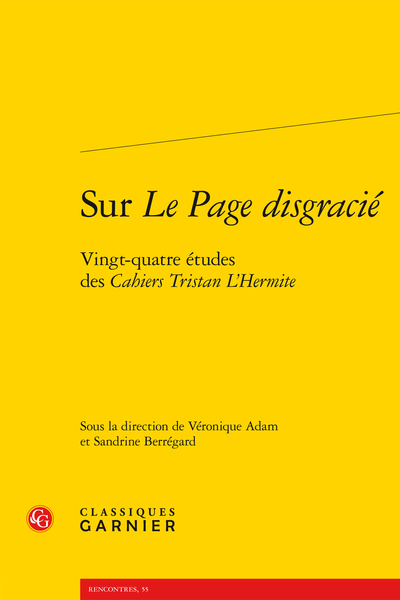 Abstract: This volume presents thirty years of research on the Page disgracié and gathers together contributions from experts on the seventeenth-century novel or Tristan L'Hermite. It studies the generic diversity of the Page and its sources, its tonal paradoxes, its narrative and formal structure, and the nature of its discourse. Le Page et son initiation : quelle alchimie pour devenir poète ?